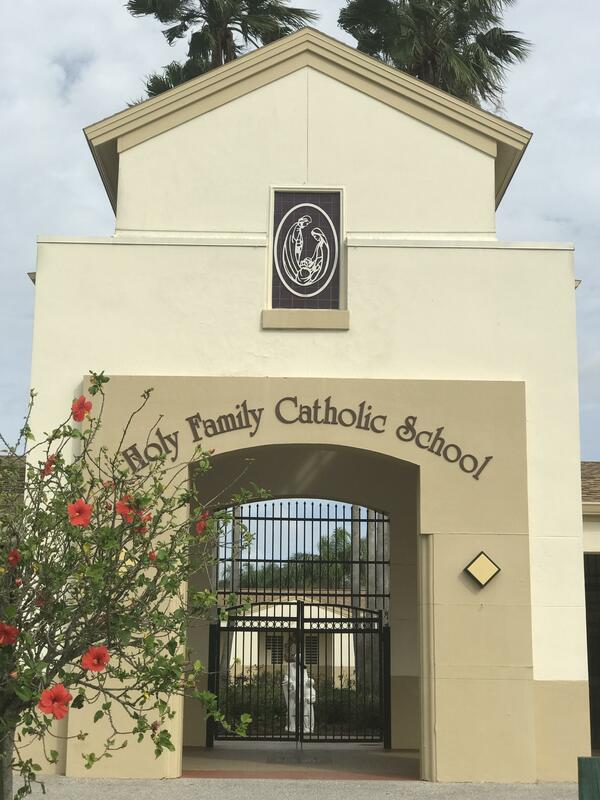 Holy Family Catholic School opened its doors for the first time on September 3, 1996, under the direction of Sr. Dorothy Sayers, M.P.F., as principal and Sr. Angela Bulla, M.P.F., as assistant principal. The school consisted of an Early Education Center housing eighty–three (83) students and elementary grades Pre–K through eight, numbering five hundred and eighty–one (581) students, giving HFCS a total of six hundred and forty–one (641) students on the first day of school. In the fall of 1993 and with the tremendous support of parishioners, Fr. William Ennis began a major campaign, “Project Growth”, to secure funds for the building of a new church and school. The dedication of the new church took place on Sunday, April 23, 1995. In July 1995, the ground breaking ceremony for the school took place and construction of the school began the following November. On August 25, 1996, the first Open House for the new school took place. Parents and students were afforded the opportunity to meet teachers and tour the new facilities. 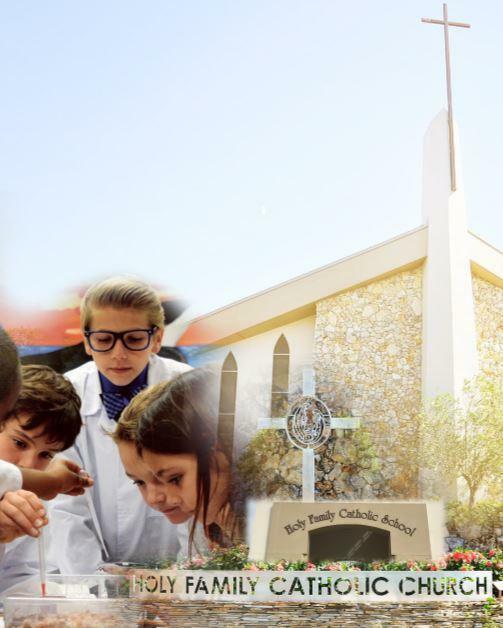 The Blessing of Holy Family Catholic School was held on Sunday, August 31, 1996. His Eminence, Bishop Norbert Dorsey, the 3rd Bishop of the Diocese of Orlando, presided over the ceremony. On Sunday, March 9, 1997 the Holy Family Gym and Fitness Center was blessed and formally opened to the parishioners of Holy Family Catholic Community. 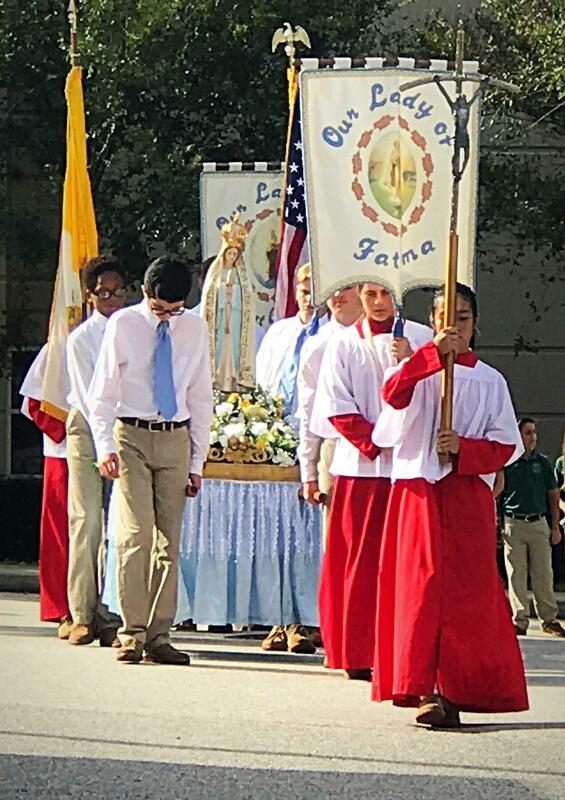 To commemorate the 3rd anniversary of the opening of the school, the final phase of “Project Growth,” which included the cafeteria, 7th and 8th grade classrooms, resource rooms, guidance room and faculty lounge, were blessed on September 3, 1999. 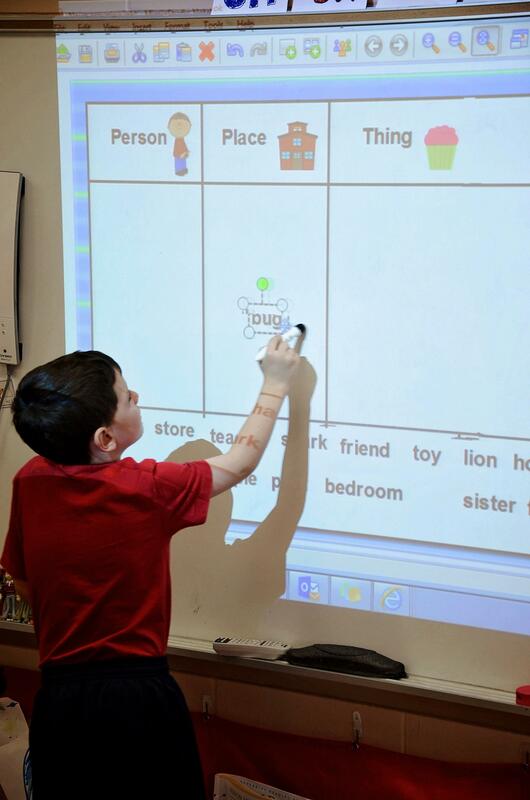 When the finishing touches were complete in November, the new classrooms and cafeteria were put to good use. On September 8, 2003, the Blessed Mother, butterfly garden and fountain were dedicated in loving memory of Linda Dodd, a former teacher of H.F.C.S., 1998-2002. 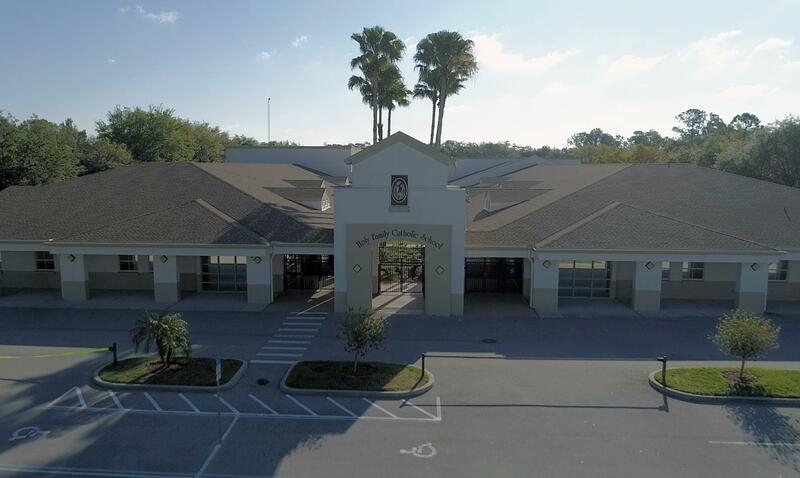 On November 2, 2006, Holy Family Catholic School was awarded its First Blue Ribbon School Award. 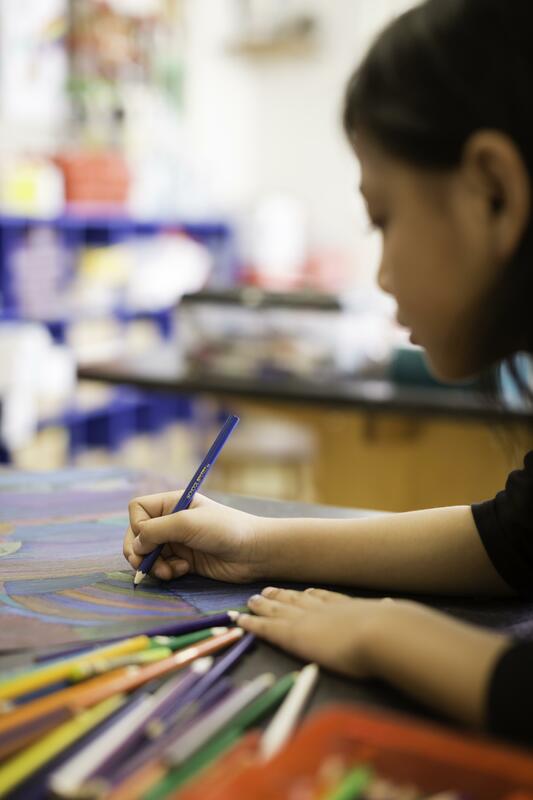 This is a United States government program which was created in 1982 to honor schools which have achieved high levels of performance or made significant improvements in closing the achievement gap among student subgroups. In 2007, our Fitness Center was converted to our computer lab, which now houses our Spanish Department. With a successful 2015-2016 Auction, a new Lab Learner STEM Lab was installed for the 2016-2017 school year. 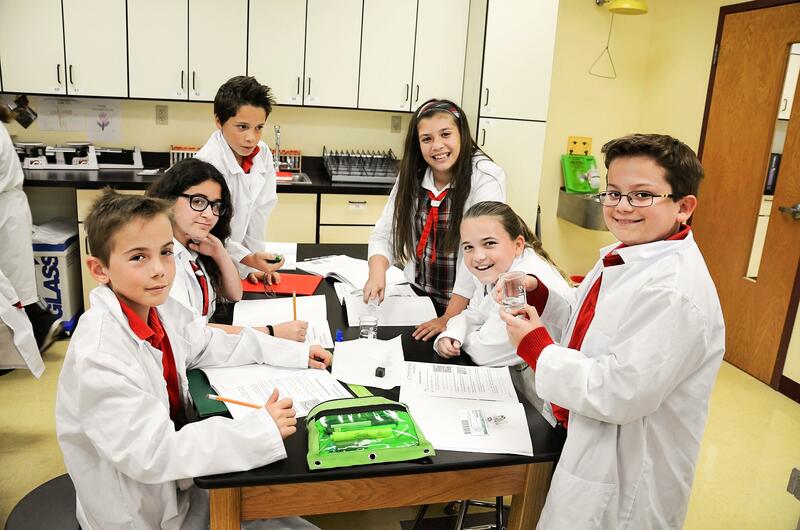 This new Science lab is fully functional, and allows our students to immerse in an up-to-date, hands-on environment. 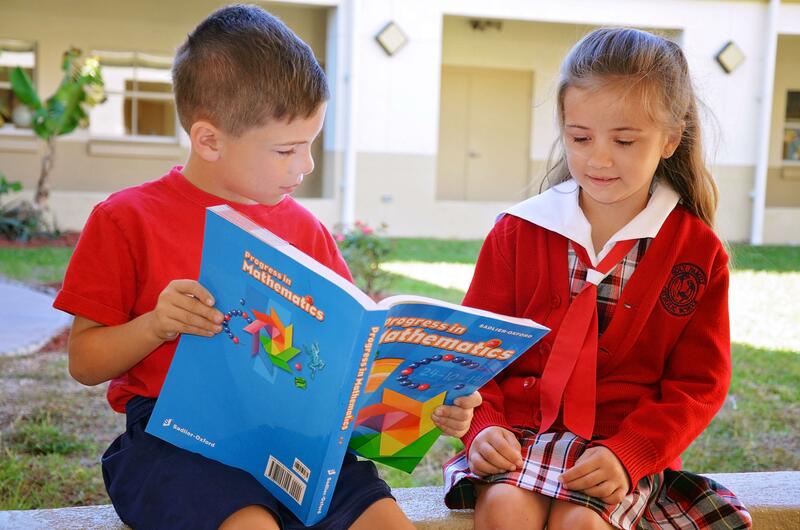 On September 3, 2016, Holy Family Catholic School celebrated its 20th anniversary. In honor of this moment, we held a 20th Anniversary Celebration. Current families and alumni families alike joined together to recognize this memorable event. We are now looking forward to another 20 years – and beyond!